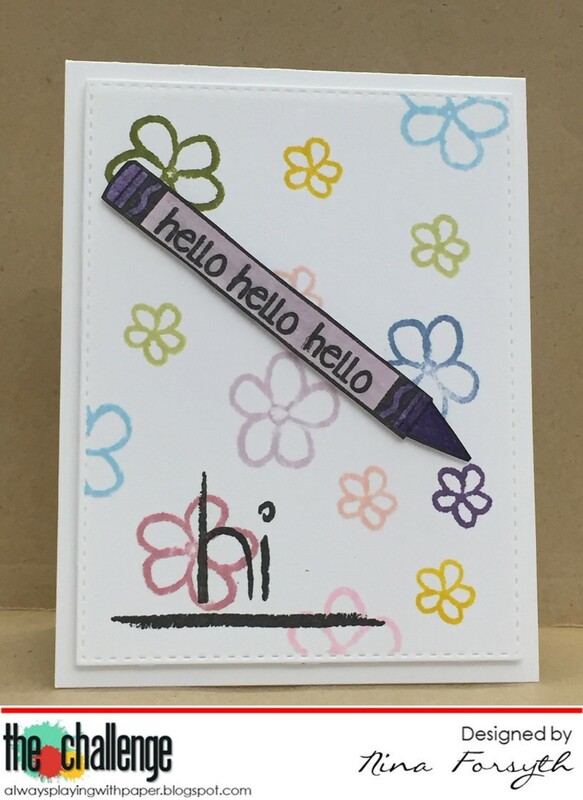 I used a CAS design for this card, I used distress inks for the flowers and the crayon. I added some Wink of Stella for a little shimmer. The center panel is popped up with foam. 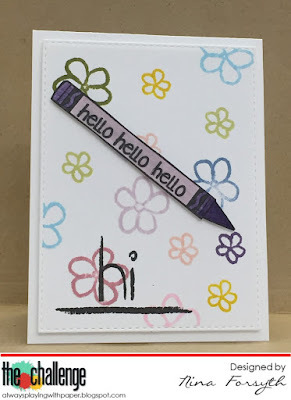 Supplies: White card stock, The Stamps of Life - crayons2stamp, Simon Says Stamps - Stitched rectangles. I love how adorable this is, Nina!!! Such a SWEET card, Nina!!! What a great use of the rainbow colors for the flowers!! Too sweet! Love the floral background. Oooo! 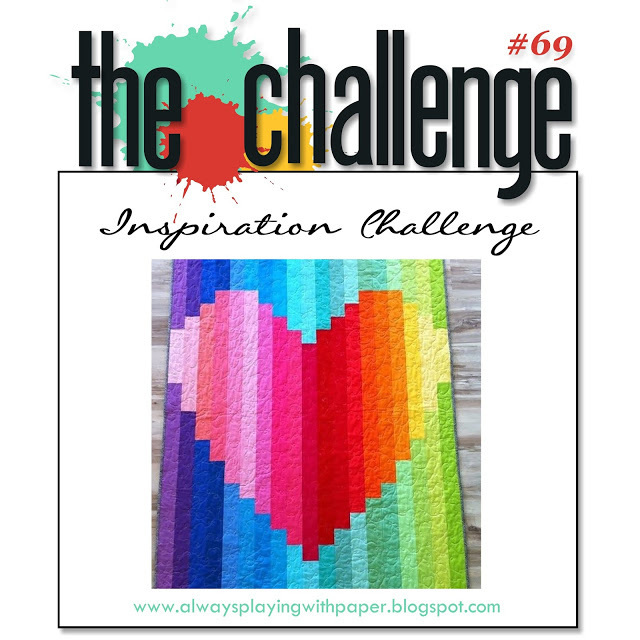 Love those crayon images to bits and pieces, Nina! Off to check those out right now. TFS!